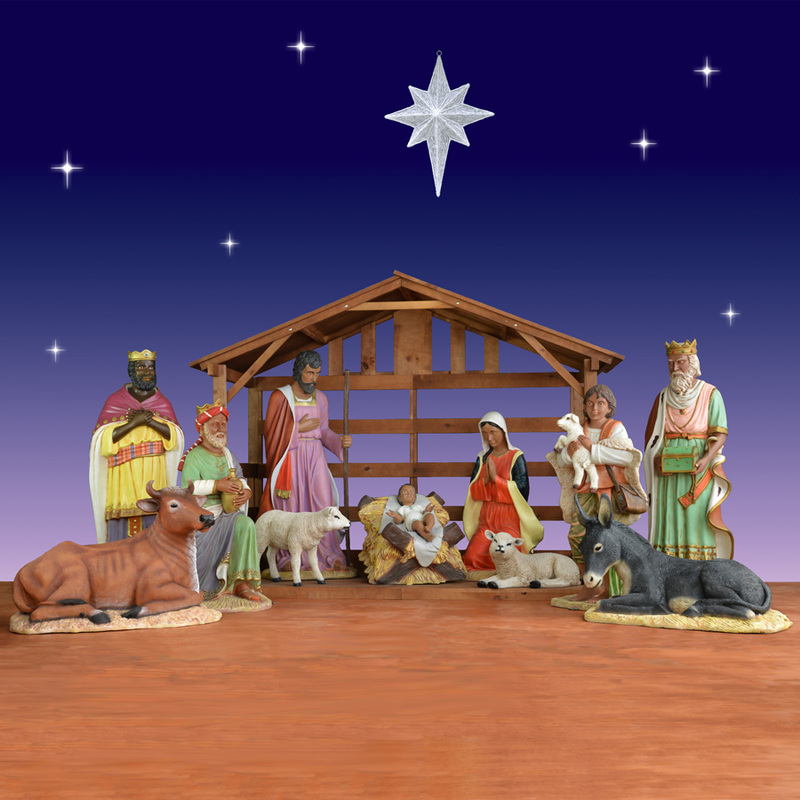 The life-size African-American Nativity set includes everything you need to create a beautiful outdoor display. 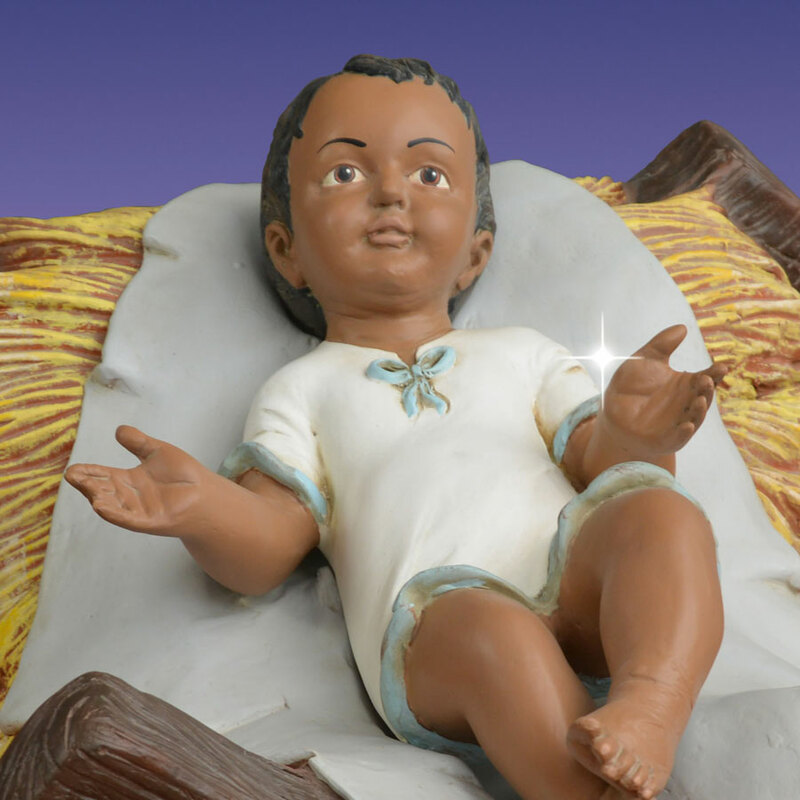 The stunning figures are crafted from high-quality fiberglass and perfectly embody the wonder of Jesus' birth. 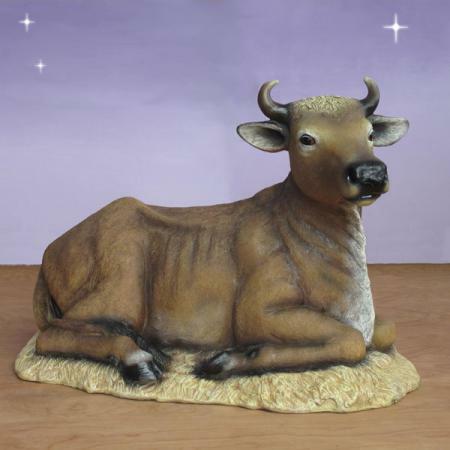 Because of their size and detailing, the pieces appear to be almost lifelike. 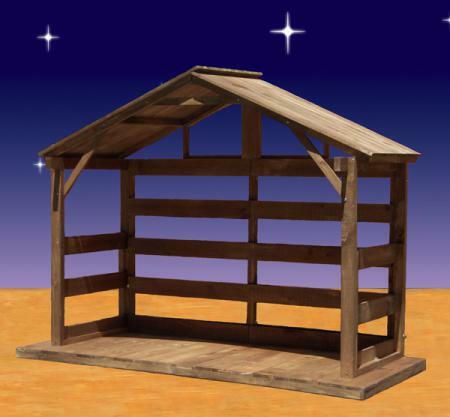 The 12-piece display is perfect for a church Nativity. 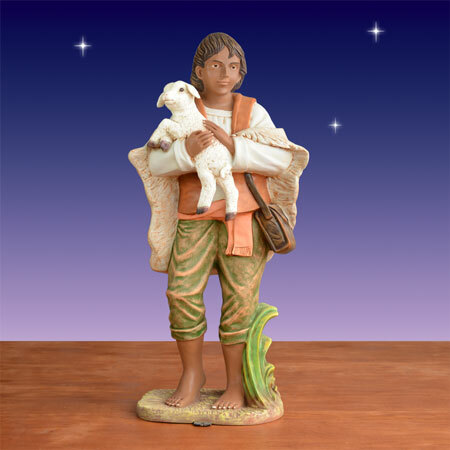 The figures are part of the Christmas Night Nativity Collection of high-quality religious figures. 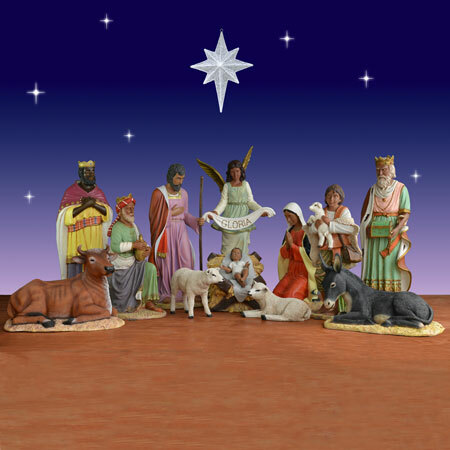 The figures in the 12-piece African-American Nativity collection are suitable for indoor or outdoor use. 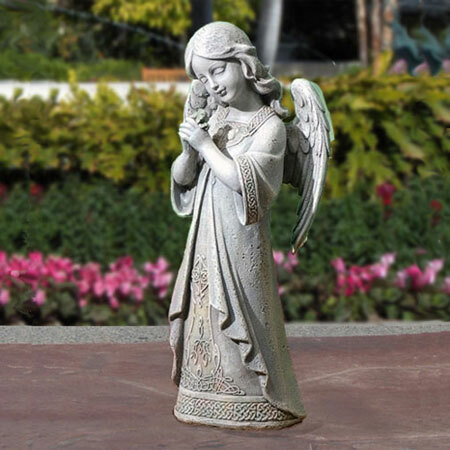 The statues are crafted using a patented 8-step manufacturing process that is results in the figures being light enough to move around, yet durable enough for outdoor use. 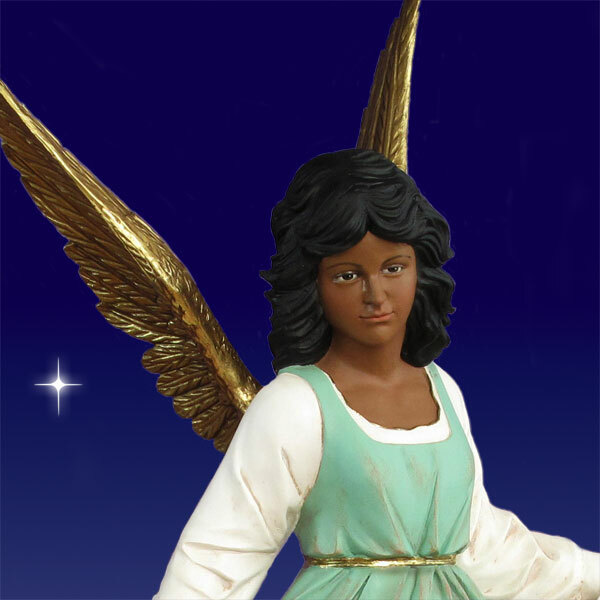 The figures are designed by Christmas Night and are sealed to prevent cracking and chipping, helping the figures retain their original beauty for many years to come. LARGE OUTDOOR MOLDED FIGURES. 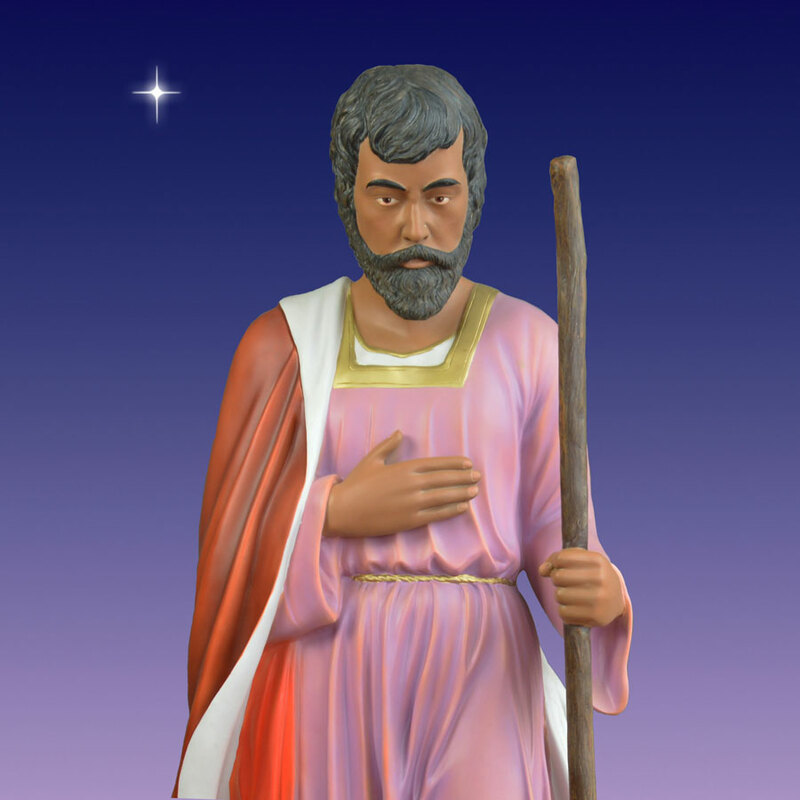 All our large outdoor fiberglass figures are manufactured using a unique 8 step molding process, similar to that used to make fiberglass boats. After the fiberglass has cured, it is sanded and painted using sunlight resistant paint. 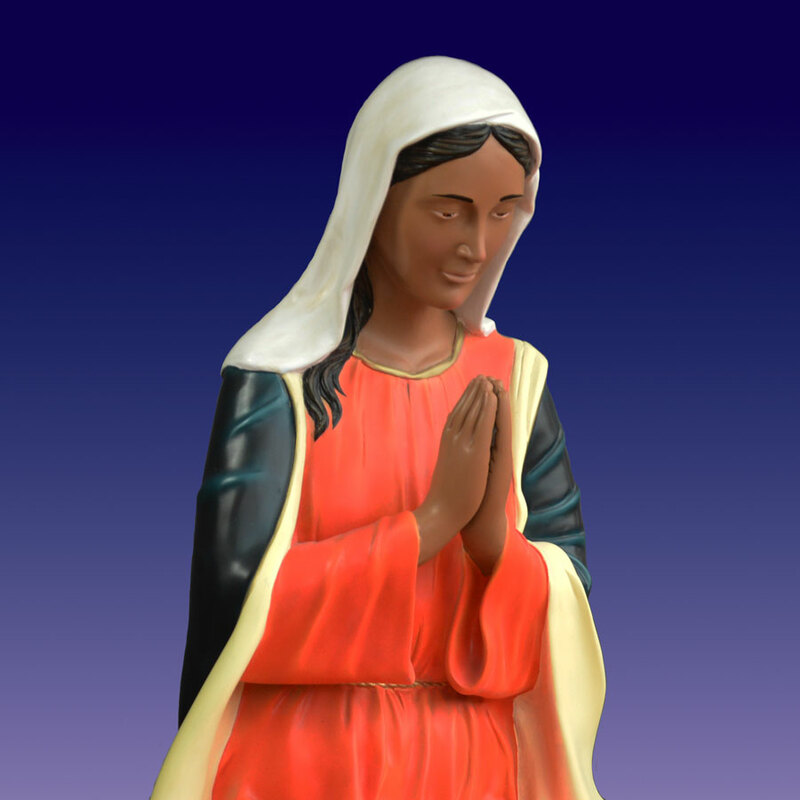 When the paint has dried the surface of the figure is sealed against the weather using clear urethane coating. 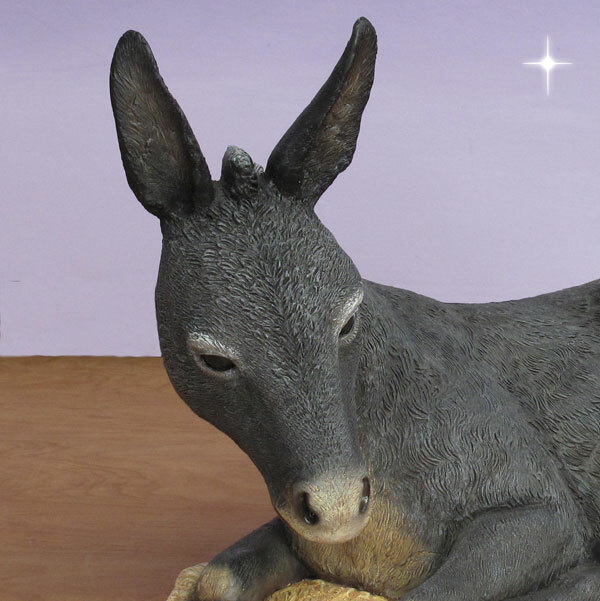 All our large figures are designed and made for outdoor use. They will withstand all kinds of weather, including rain and snow. Many of our large products have ground mounting plates and D-Rings for attaching to the ground or other fixed surfaces such as walls and trees. We recommend ensuring that the figures are not left in standing water or frozen to the ground for lengthy periods. 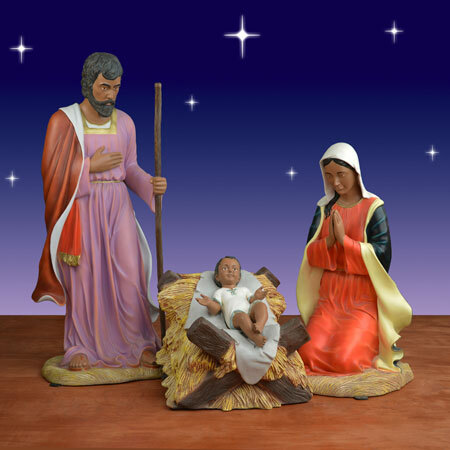 When the Holiday season is over the figures can be wiped with a damp cloth to remove dirt and bird droppings . Please do not use detergents of liquid cleaners as this may dull the attractive shine of the item. They should be stored inside in a clean , dry place, and returned to the original cartons or wrapped in bubble wrap to prevent scratching.. Clean product only if absolutely necessary. Make sure figures are completely dry. Dust with a soft cloth or feather duster. Where necessary, use a damp cloth. DO NOT use soap, chemicals, detergents or hoses. Store in the shipping cartons in a dry location. 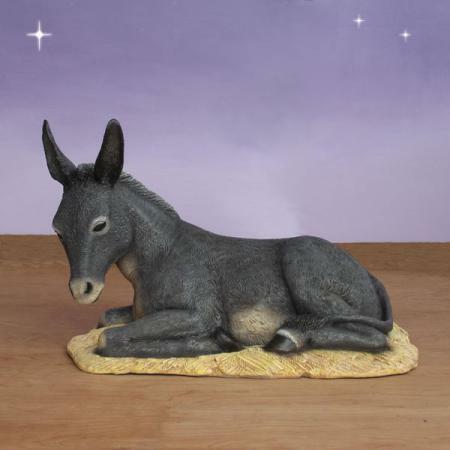 When setting up product make sure each figure is stable and will not be blown over by the wind. 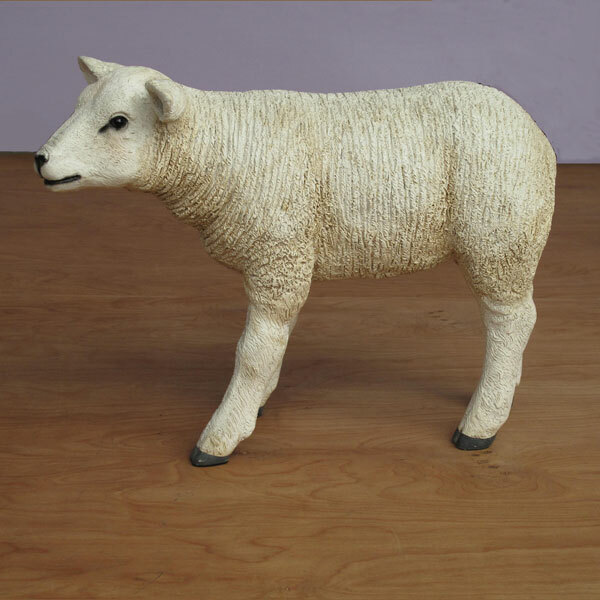 In windy areas use a wood stake behind each tall figure and secure to the figure with strong fishing line or wire. NOTE: Products displayed outdoors may require paint touchups from time to time.